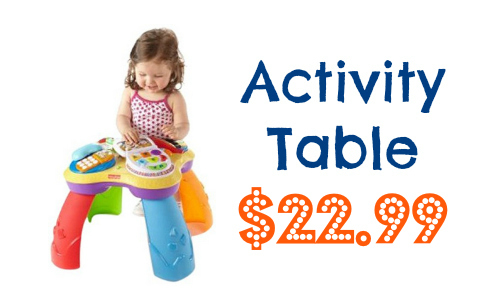 Amazon has a great deal on the Fisher-Price Laugh & Learn Learning Activity Table. You can get it for $22.99 (reg. $44.99). We rarely see this for less than $25. The legs easily pop off so you can use it in a variety of ways. Here are 8 ways to use it making it a great toy that grows with your child for the first year. Shipping is FREE on orders $49+ or you an get FREE 2-day shipping with Prime. Get a FREE 30-day trial here. Note: prices may change at any time.